German endurance athlete Marco Henrichs is dedicating his world-record attempting swim up the Neva River in St. Petersburg to the upcoming "Friendship Tour to Russia," an initiative to foster bilateral relations between the two countries. German swimmer Marco Henrichs is gearing up to become the first person ever to swim the length of St. Petersburg's Neva River. Henrichs is an experienced extreme sportsman who has competed in marathons, Iron Man competitions and the challenging "Kotlin Race," a 25km swim from St. Petersburg to the port city of Kronstadt on Kotlin Island. 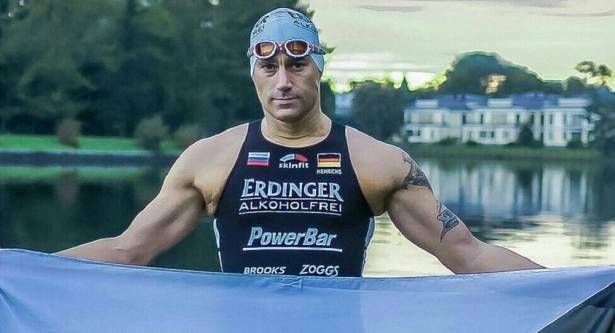 His next undertaking is a 77-kilometer swim from Lake Ladoga in Leningrad Oblast to Neva Bay in the Gulf of Finland, on August 1. Henrichs is aiming to complete the world-record swim in less than 14 hours. In an interview with Sputnik Deutschland, Henrichs said that two boats are accompanying him on the journey. They will throw him food and drink, but if he so much as touches one of the boats his world record attempt will be disqualified. "I can't rest and have a stop anywhere. Once I'm in the water I have to remain permanently in motion," he explained. Henrichs, who won the 2016 Kotlin Race, has never before swum such a long distance in a single event. Although he is confident he can complete the swim, he has "enormous respect" for the task ahead. "This is like all races. At the beginning you are fresh and have a good tempo, but what counts, of course, is the performance after five to seven hours. In my experience, the body can break down rapidly after six or seven hours because you're having a bad day," he explained. One of the biggest challenges will be managing to swim for such a long time in a water temperature of just 14 degrees centigrade. "You have to be mentally very stable to fight against the pains you get in your body and against the cold," Henrichs said. The athlete said that his world record attempt is not just a personal ambition, but is also dedicated to friendship between Russia and Germany, particularly in light of the upcoming "Friendship Tour to Russia 2017." The tour starts in Berlin on Sunday and takes tourists on a trip to Kaliningrad, Moscow, Smolensk and Minsk before returning to Berlin on August 13. Around 350 participants from 16 countries are taking part in the initiative to get to know their eastern neighbors better. In each city they will take part in events with local people and get to know them. "As an athlete and a human being, the friendship between the German and Russian peoples is very dear to me," Henrichs said. "When I learned about the idea for the 'Friendship Tour 2017,' which was initiated by Professor Rainer Rothfuss, I suggested dedicating my record attempt to this peaceful initiative. I want to make people in the world of sport aware of this peace project, because what they are doing is a very, very good thing."